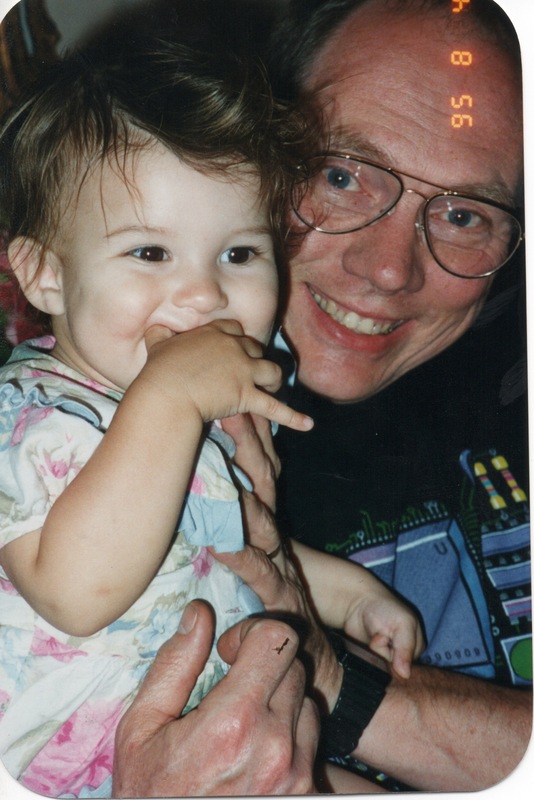 My eulogy for Al Sargent, January 25, 1941 – February 19, 2013. Devoted husband and father. Choir bass. Navy man. Close friend. And damn fine human being. Given at St. Francis Episcopal Church, Palos Verdes Estates, CA, March 2, 2013. Many of you know that St. Francis is one of three musical “hats” I wear – I’m Jewish on Friday nights, Roman Catholic Saturdays at dinnertime, and Episcopalian on Sundays! No matter what the occasion – happy, sad, or anything in between – the services at synagogues always include a Kaddish, which is a prayer extolling the glory of God despite grief and death. No matter what happened previously in the service, the introduction into the Kaddish is a kind of signal, a sign that serious business is about to happen, and is a reminder of the transitory nature of life. The Kaddish comes just before the end of every service. The rabbi reads the official list, then slowly moves his or her arm above the congregation, while the people say aloud the names of recently died family members or friends, or the death anniversaries (called Yahrzeits) they are commemorating. I usually don’t have any names to add. But last Friday night, I did. When the rabbi got to me, I said the words – Al Sargent. I didn’t say his name loudly, but it seemed to thunder in my brain. And I think it was having to speak his name aloud and in public at that moment that I came face to face with the fact that I will not see him, one of my longest and closest friends, again in this life. We were friends for more than 20 years, and he sang in my choir longer than any other singer I have ever had, anywhere. His daughter Laura told me last week that he so loved singing with me and that choir practice was the high point of his week. Carla, his wife of 47 years, had told me this too, over the years, and I consider it one of the greatest compliments I’ve ever had. Al loved singing so much, and he would have greatly enjoyed the choir rehearsal for this service! Today I am using his hymnal and his copies of the music, and today’s final organ piece is one that he turned pages for many times. Al spent much of his life here in the South Bay, but was originally from St. Paul, Minn. – land of Lutherans and of a cappella choirs such as the renowned St. Olaf Choir. I heard just last week that he had said multiple times that he loved to sing a cappella (unaccompanied) but never thought he’d be good enough to sing in such a choir. So it’s appropriate that the choir sang today’s psalm unaccompanied. Our two families are about as close as one can get to being blood relatives. Laura and our daughter Amelia seem like sisters, and Al called them Miss Muppet Senior and Miss Muppet Junior. My own relationship with Al was, I think, centered on music, family, humor, a shared love for gardening, and – last but not least – beer! And I’m happy to report that the beer genes have been passed down, and this trait is shared by Laura and her husband Jim. But those weren’t our only tangents. I don’t know or care much about cars, but one year I went with Al to the LA Auto Show, and it was like having my own private guided tour with a walking, talking encyclopedia of car stuff! He tossed off fascinating comments about just about every car in the show – and its past history – as we walked by! When I emailed some former and current choir members with the sad news, they all expressed surprise and great sadness, and send their condolences to both family and friends. Indeed – not a bad way to be remembered. Al had many talents. I’ve always admired his skill with his hands and with machinery, and have wished I had just a bit of it, which I don’t. Another of his skills was his uncanny ability to turn almost any unrelated story, or part of a story, or one word from a story, into something about either his time in the Navy or old Torrance! He was practically a walking encyclopedia of Torrance during the Cold War era, and it’s a shame that so far as I know no one ever got him to talk into a recorder about that. Al’s boat, the carrier USS Hornet, is now a museum, up in Oakland. Al told me it had picked up a couple of the early astronauts. And I found out when I toured it that Neil Armstrong’s first steps on Earth after Apollo 11 splashed down were onto the Hornet. But when I wasn’t thinking of Armstrong or gawking at the cool planes on display I was constantly thinking of Al, wondering where he bunked, where he worked, and all that. It seemed like revisiting the Scene of the Crimes, the Ground Zero of his many naval escapades, including the sewing machine and illicit tailor shop story Laura told! Another of Al’s sayings, in more recent years, was “I’m not important enough to have a cell phone…” Well, maybe not, my friend. But you probably had no idea of how important you were to so many, how many people you influenced and who loved you so much, until now. Al, we know you are watching us from wherever you are, and making sure we get this service right! Despite the sudden and tragic nature of his death and my own shock and grief, I still smile whenever I think of Al, and probably always will. I know I am a better person for having known him, and I imagine that is true for most of us. The other morning I saw a line in a brochure: “Don’t lose the song.” I don’t think Al ever did lose his song. Many years ago I had a flutist for Christmas at my church back East, and so wrote a descant for Silent Night, high above the melody, a musical depiction of the Star of Bethlehem. When I came here we sang it a few years, but the poor choir had to just sing the melody, because I had changed the harmony from what is in the hymnal. You probably know that the original “Silent Night” was thrown together at the last minute because an organ broke down and all they had to play was a guitar. So the original harmony is very simple, and most choir singers will tell you that’s really pretty boring, especially three times in a row. But that let me as the organist play and experiment with different chords, trying out different harmonies. And over the years I settled on a version with an independent and I hope a more interesting bass part, coming just a little after the melody. But the choir was still singing the melody only. Over the years, Al urged me to write out these new harmonies for a choir. As a rule I really don’t like to rewrite my old music, I always want to move on. But he was so kind and so patient as I dawdled over the years. So I finally wrote a full-fledged four-part choir arrangement, which my choir loved and looked forward to every year, and no one more than Al; I think he said once that Christmas would not be Christmas for him without this bass part. I wrote the bass part while thinking of Al, and many of us choir people can still hear him singing it, and will for many years. This past Christmas I finally got around to doing something I should have done long before: I dedicated it to Al. That was his Christmas present from me. It seems appropriate to end this by doing something Al and I did together a lot: making music and loving it. You’re welcome to sing along on the melody. But I hope you’ll also listen for the bass part, that’s the real connection with Al. Rest in peace, my dear friend. Hope to meet up with you later on in the journey! When we meet again I probably won’t be directing or playing, but I’ll bet two beers you’ll be in the choir!